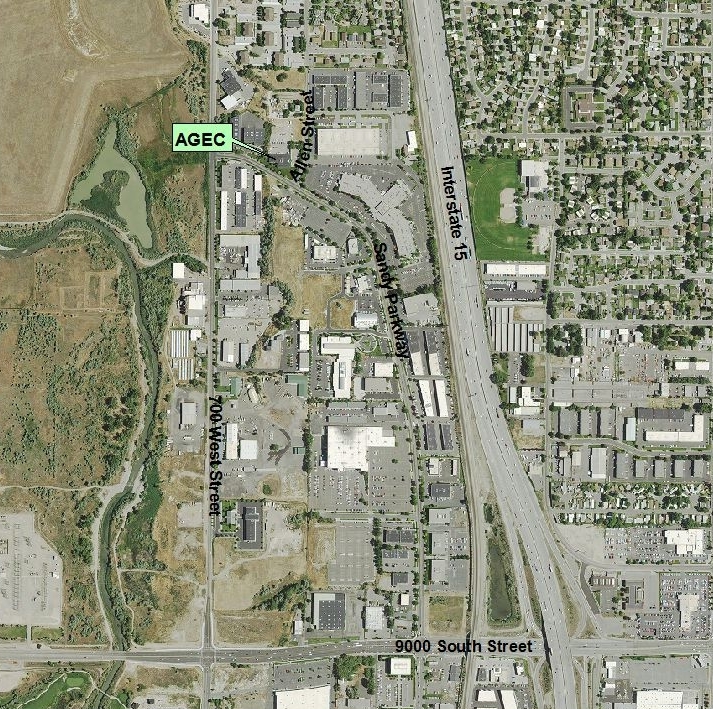 AGEC's Sandy Office :: AGEC-Applied Geotechnical Engineering Consultants, Inc.
AGEC's Sandy office is located at 600 West Sandy Parkway (8445 South). Directions from Interstate 15: Exit at 9000 South (Exit 295) and go west to the first traffic light at Sandy Parkway (450 West Street). Turn right onto Sandy Parkway and head north approximately 3/4 mile. Sandy Parkway will curve to the west and you will pass a General Dynamics office on your right side. Continue past the General Dynamics parking lot to Allen Street (540 West Street) and turn right onto Allen Street to access AGEC's parking lot.